Before the train to crazy town. 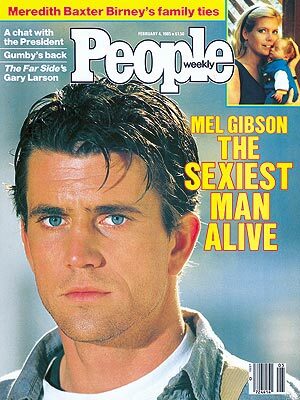 I am saddened by Mel these days, because I was once a huge fan. His character, Fletcher Christian, (The Bounty) was possibly one of the most stunning characters to hit the screen. He was beautiful in that film. Braveheart is one of my favorite movies, but now I find it hard to support even his older work. I miss the cute humor from Lethal Weapon, the piercing blue eyes from Tequila Sunrise (another of my all time favorites), but I honestly think he is beyond repair at this point. Just so sad to see how far he has unraveled, and how booze can wreck a person. I too miss the old Mel. He was so handsome in his early days. I could still forgive him if he would come clean.